High 11:47 PM: 30.053 in. Low 12:00 AM: 29.864 in. 1 Rain season: Jan 1st to Dec 31st. 6 Air Quality Index is provided by Wisconsin Polution Control Agency and is updated hourly between the hours of 6AM and Midnight. Lo 34 °F NWS forecast: Mostly clear, with a low around 34. South southeast wind around 3 mph. Hi 67 °F NWS forecast: Sunny, with a high near 67. South southwest wind 2 to 13 mph, with gusts as high as 20 mph. Radar images courtesy of Weather Underground. 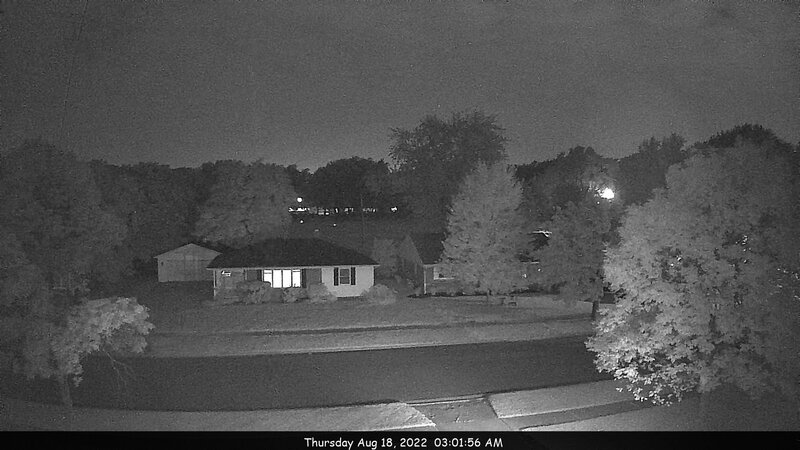 Web Cam image updates every 15 Minutes.